About Us - Rajan Techno Cast Pvt. Ltd. The seeds of Rajan Techno Cast Pvt. Ltd. were sown in 1992 by Mr. Parshottambhai Patel, with production capacity of 20 Tones of Lost Wax Investment Castings per month. 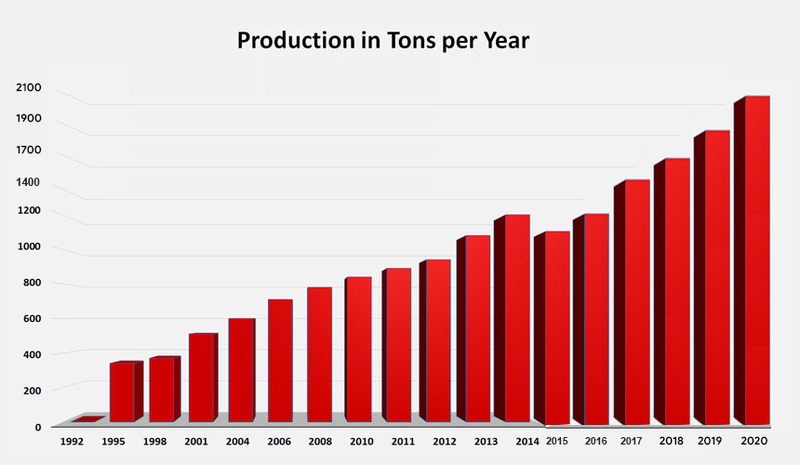 Since then we have progressed exponentially and today the company produces 100 Tons of lost wax Investment Castings per month. Till now we have developed more than 1500 components applicable to a wide range of Industries and today we are one of the largest manufacturers of lost wax investment castings in INDIA. This success and continuous growth was only possible because of our commitment to produce best quality Investment Castings with on time deliveries to our customers. Today RTCPL has team of well qualified and professional team of engineers, technicians and workers to satisfy your needs. We shall strive to be leaders in this business by offering products of a world class quality, and through constant technological innovation. We understand the needs of our customers and shall stay focused on them by offering them products, service and solutions of the highest quality. To develop long-term business relations with its customers. Poised to be Global Investment casting manufacturer. To grow steadily and becoming profitable gradually. Superior Investment Castings quality adhering to various standards. Continuous training of our engineers and technicians for best efficiency and quality workmanship.